By Karrar Haider in Mobile. Updated on November 17, 2017 . Touch typing might be fun, but your options are still a bit limited as compared to typing on a physical keyboard – the one we use with PC. But wait, how about if you can connect your desktop keyboard with your smartphone or tablet? Yes, you can connect a full-size physical keyboard to your Android device and in this post, I will show you 3 different ways how to do just that. Let’s check it out. 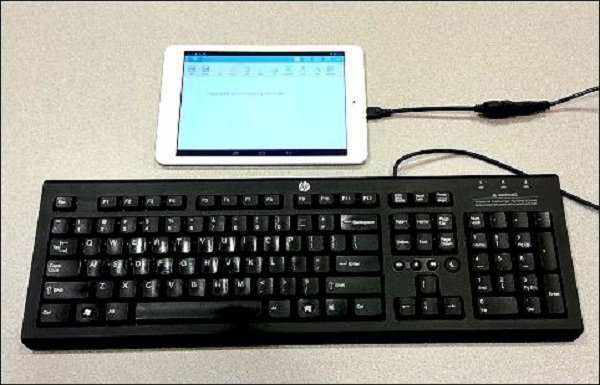 You can connect a USB Keyboard to an Android device via a USB OTG (On-The-Go) adapter, provided that your device is USB OTG-supported. If you bought your Android devices in the last 3 years, chances are, it will support using USB OTG. 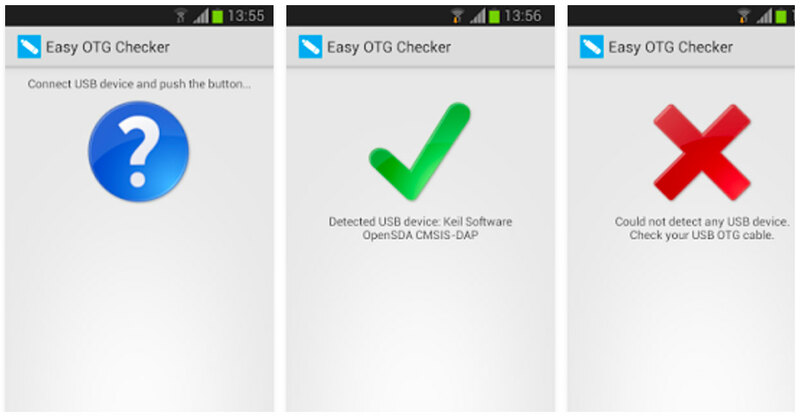 However, if you are unsure, you can confirm it with this app – Easy OTG Checker. This app automatically detects required USB OTG hardware and software API. Alternatively, you can also get the USB OTG adapter online for as low as $5. I would recommend UGREEN Micro USB and Ksmile USB Host. Connect the keyboard to the USB connector and your phone to the micro-USB connector. 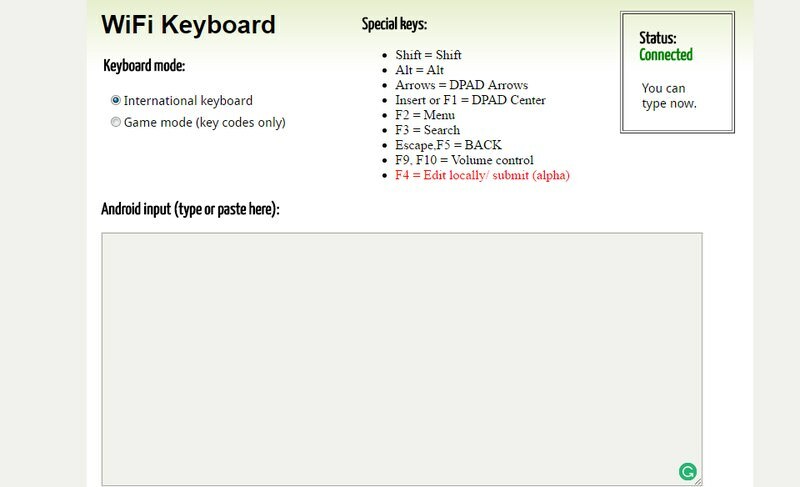 The keyboard will automatically connect just as it connects to your PC. Open any app and start typing on the keyboard and the text will start appearing. Once it’s successfully connected, you can use all keys (Page up Page Down, etc) and shortcuts (Ctrl + A) the way you want. Turn on Bluetooth on both devices. From the list of nearby Bluetooth devices, select the keyboard. If asked, provide a pin code. Usually, it’s “0000“. The keyboard will connect and you can start typing. Using an app, you can connect your PC and Android phone over Wi-Fi, and transfer text from the PC to the phone. This method is probably good when you need to type a lengthy text on your phone. I recommend WiFi Keyboard app for this that allows you to transfer text using a browser window. Once installed, you need to set it as the default input method. Go to Settings and tap on Language & Input. Tap on Current keyboard option and then tap on Choose your keyboard. 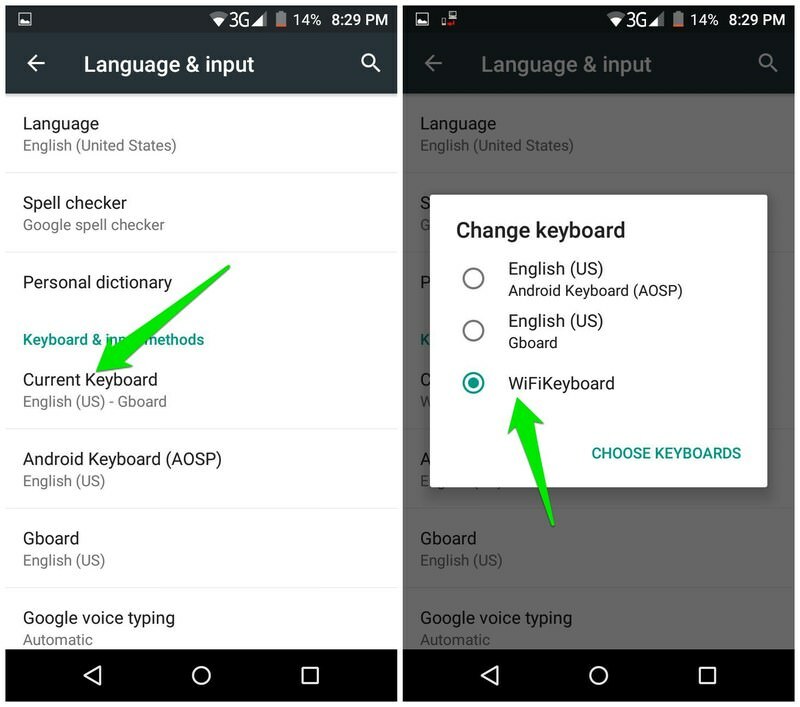 Tap on the Current keyboard option again and choose WiFi Keyboard. 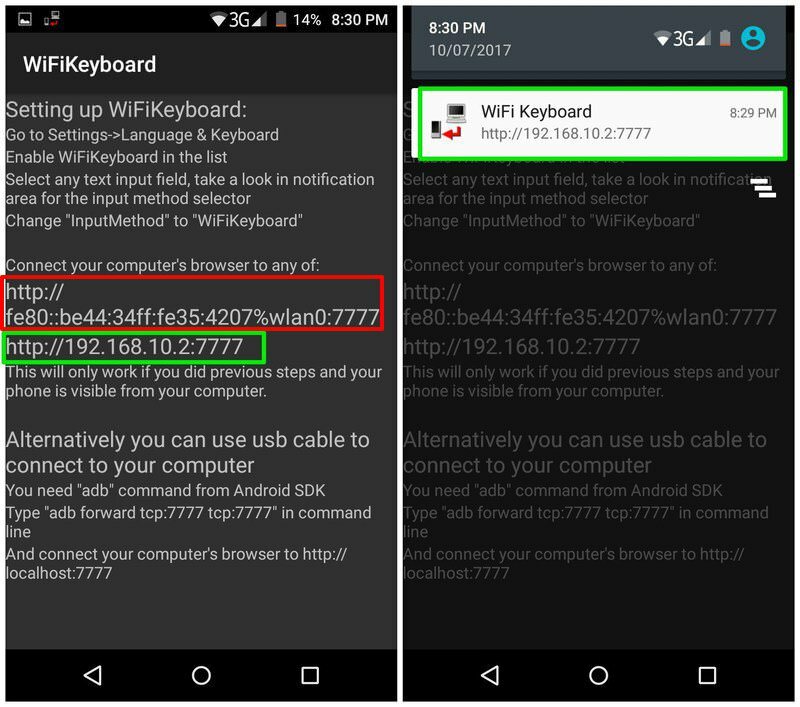 Now, open the WiFi Keyboard app and you’ll see two addresses (can also be accessed from notification bar). You can enter any of these addresses in your PC’s browser window to open WiFi keyboard web interface. Anything you type in the web interface text field will appear on your phone. In my testing, the typing was very responsive, but there is no text preview. So you need to preview the input on your phone. Tip: Make sure you disconnect keyboard after use as it drains phone battery faster (no matter which method you use). 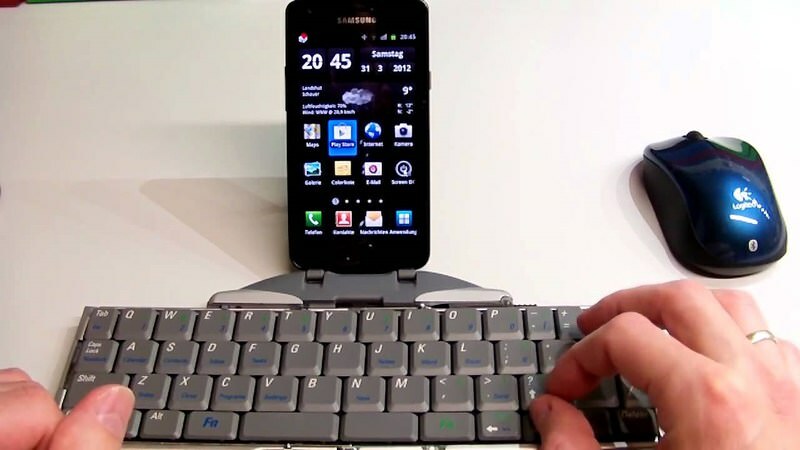 If you have a Bluetooth keyboard, then connecting it to your Android device won’t be a problem. However, connecting over Wi-Fi is a great option if you don’t want to spend any extra cash. Do let me know which method worked for you, simply in the comment section below.